When I went to Ikea a few weeks ago I picked up these (2/$3.99) magazine files. Inside the magazine files, I use file folders from Michael's dollar spot to separate my cardstock by color. When I first started I was writing the name of the company/color on the folder, but found that if I just cut a slit in the plastic that they come in I can just slide my cardstock out and keep the label inside the original package. This way I don't have to relabel the files if I decided not to reorder that same color. I'm lovin ur new setup, and appreciate the tips on paper. I'm fairly new to crafting and enjoy all and any tips I receive. Thanks so much. Oh dear i feel a trip to Ikea is in order, i just hope you can get those files in Aus, no doubt there will be something similar. Thanks Christina a great tip. I love that idea, and I really love the green magazine files. I might have to get down to Ikea too! Great ideas! 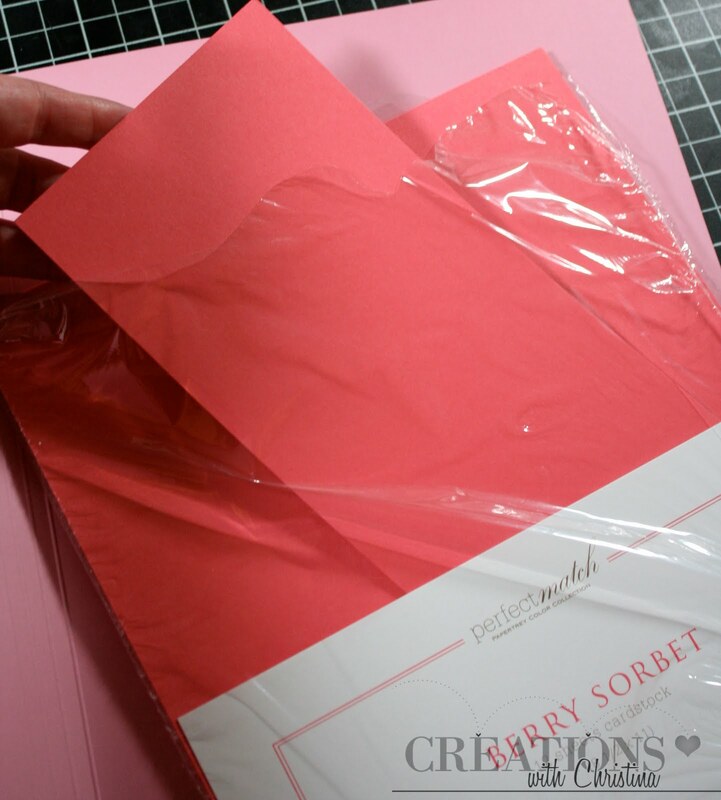 I've tried the Papertrey paper and have some trouble cutting it on the Cricut (maybe I need a new blade) - I love their ribbon and the fact that everything can match! TFS! Wow, do I need you here! lol. I keep my SU card stock over here, Bazzil over there, Wausau over there, pearlized there - well, you get the picture, and they're all in either plastic drawers or snap boxes, but I don't keep stuff by color - except my scraps. Can't wait to see what you do with pattern paper! I love your tips and especially love the new schedule I hope it helps you out as well. Your such a sweetie to do this all for us I really appreciate it and yes Paper Tray Ink had the BEST card stock ever! I'm luvin your new schedule and hope it works out better for you as well! The Ikea holders beat the Cropper Hopper holders that is for sure..NOW if I just had an Ikea close enough to visit :-) I've looked into online purchasing but the shipping is pretty pricey. Thanks for all you do for us to help in our scrapping organization, inspiration and projects!!! Thanks for always sharing your tips on not just organization, but everything else you do. Love your blog and love all the inspiration you give me daily. I have mine in a file cabinet. I have all SU but I like the sound of 12 for $3. and ribbon to match. I think my next purchase will be from PTI. Do they have a chart and compare to Copic and SU? I am looking forward to the 12X12. That is the hard one. Thanks for the great Tip Tuesday. I am really going to enjoy this feature. I wish we had an IKEA store near where I live "( I have yet to try PTI paper. I think I will have to give it a try. Thanks again Christina for all you do! Love your blog! I hope you can give us some tips later on dealing with scraps. So far, I haven't had to separate them by color by I think I'm going to have to soon as my leftovers are growing. Love storage ideas!! My paper this size is in a stack on the floor. Now I will look out for these next time I go to Ikea! I love your tips Christina!! Thanks for showing us how you store your paper and what you recommend. How is the thickness on the Georgia Pacific white cardstock from Walmart? Is it better than the solid cardstock sold at Michael's, Joann's and AC Moore? I find they are nice choices in colors and fairly inexpensive; but I had trouble with using the white as a base card...seems a little thin. Thanks for all your tips and videos! 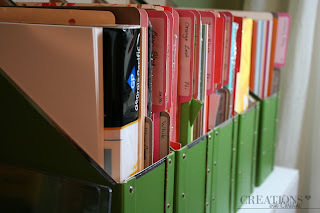 Great idea on the paper storage, I too have the flimsy plastic lots of others talked about and do not really like them. I will have to check into this, are they big enough for the 12x12..guess I will have to wait for that post to see huh? I do have a file cabinet for most of my good 8x11 CS. Its the scraps that get carried away and dont know what to do with, usually I wait till I have too many just punch/die flowers for future use. Love your new format on your blog. Great job thanks for all you do. Great idea! Thanks for all the info., I'll definitely be trying those papers & your idea! Those magazine raks that you bought at Ikea - I keep my 12 x 12 solid paper unless it goes with a stack. Each 12 x 12 magazine rak holds one color but all shades of that color. It sits right behind me so is very handy to get paper. Also for a pad coming apart - I have 12 x 12 drawers which come in a drawer with 3 at Walmart for 9.99. and that seems to work. I also have a separate containers for different seasons, holidays and leave the embellishments in there too. But for my DCWV stacks I do have the metal scrap racks from a shop that went out of business. Hope you can understand what I am trying to convey. I love to organize.